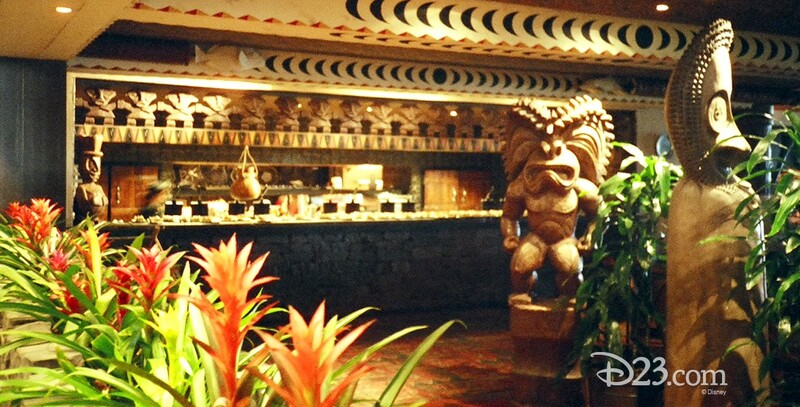 ‘Ohana Restaurant in the Polynesian Resort at Walt Disney World, taking the place of the Papeete Bay Verandah. Opened April 12, 1995. Guests have an interactive dining experience as food is grilled in an 18-foot semi-circular fire pit on skewers up to 3 feet long, and then served family style.